Because you believe in the long-term success of an employee at your company, you've selected them to take part in a 90-day program designed to help them advance their career. 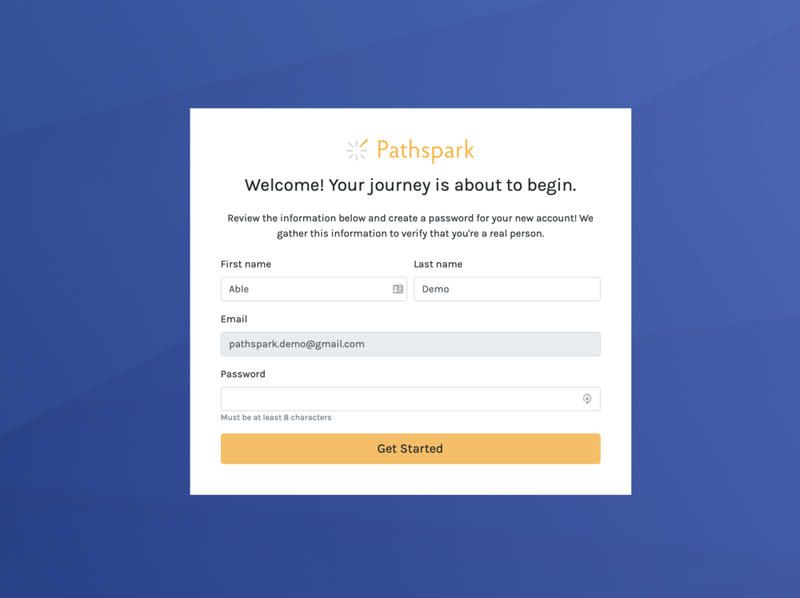 In this personalized program, your employee will be paired with a dedicated Pathspark Coach, who will speak with them via video conference seven times over a 90-day period. Your employee will receive an initial 15-minute phone conversation with them to get to know who their coach is, and how they'll work together. Then, they’ll schedule their first 60-minute discovery call, followed by six remaining 50-minute sessions. During the discovery call, the coach will learn all about your employee and where they see themselves going. Throughout these conversations, the focus is always on how their coach can support them in where they want to be. By opening up honestly during each conversation with your Pathspark Coach, growth will happen. These important conversations help employees realize their potential and get them to where they want to go. What Makes for the Best Coaching Experience? An effective coaching relationship requires confidentiality, trust, and a safe, judgement-free space for employees to honestly open up with THEMSELVES and their coach. Our Pathspark Coaches bring all of the above. Employees that open up to their coach will be more than prepared to regularly open up to your management team and colleagues through more frequent and highly impactful career conversations that will propel their career forward. Our coaches come from a wide-variety of coaching backgrounds and experiences to serve as employee champions as they discover their true strengths and gain the courage to take next steps.